Over 45 million Americans live in poverty—but you wouldn’t think potential leaders of the country are expected to know or care anything about this, listening to the questions asked by the elite journalists who moderated the Democratic debates this primary season. A FAIR analysis of all nine democratic debates over the past seven months shows that not one question was asked about poverty. By contrast, 30 questions were asked about ISIS or terrorism (almost half of them concentrated in the December 19 debate, which took place days after the San Bernardino shootings) and 11 questions were asked Russia. Ten questions were asked about socialism or communism, all of which were directed at Bernie Sanders. The candidates themselves have brought up poverty, either in their prepared remarks or in response to more abstract questions about the economy. Sanders brought up poverty in all but two debates, broaching the topic 11 times, or approximately 1.2 times per debate. Clinton brought up the issue three times in total, or on average once every three debates. According to the 2014 census, 14.5 percent of Americans, or over 45 million people, live in poverty, up from 11.3 percent in 2000. 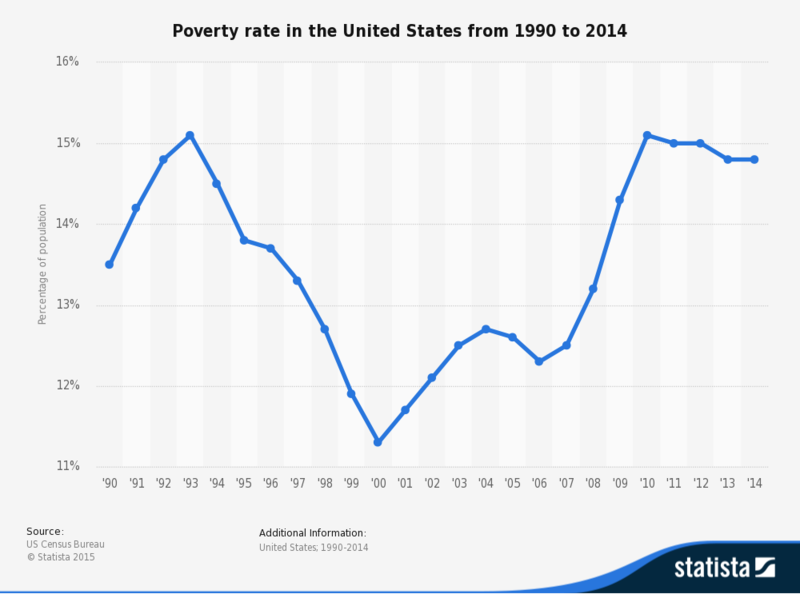 Child poverty (which Sanders points out consistently) is especially troubling, with an estimated 16 million Americans under the age of 18 living below the poverty line. A 2011 study attributed 133,000 deaths a year to poverty-related illnesses. Poverty has also been linked to diminished IQ in children—in the United States, but not in other wealthy countries—and has been shown to impact economic gains, overall health and quality of life. Put simply: Poverty touches large swaths of America, by any objective metric. Americans are literally a million times more likely to live in poverty than to have been killed by “jihadi terror” since 9/11: The total figure for the latter is 45, or about 3 people a year. According to the Washington Post (11/23/15), the average American is more likely to be killed by home furniture than a terrorist. Homeless man on National Mall (cc photo: Elvert Barnes); ABC‘s David Muir at December 19 Democratic debate in Manchester, N.H. While vague notions of “inequality” or “economic anxiety” were touched on occasionally, the issue of poverty and its effects remained entirely absent. 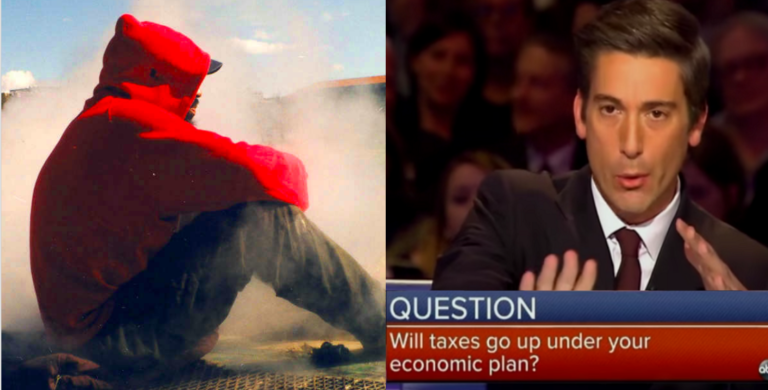 No specific questions about poverty, its causes or possible federal solutions were asked by any of the moderators in any of the nine debates. If any of the candidates had a plan to ameliorate the plight of the poor, the moderators weren’t interested in hearing about it. Eight out of the nine debates were hosted by a subsidiary or joint venture of one of four corporations: Comcast, Viacom, Disney and Time Warner (combined market value $383 billion).